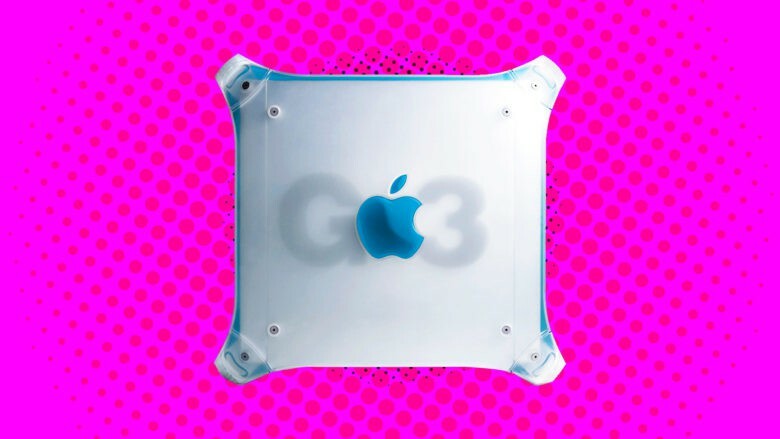 The Power Mac G3 brought a new look, and powerful new features, to Apple's pro computer line. January 5, 1999: Apple introduces its revised Power Mac G3 minitower, often nicknamed the “Blue and White G3” or “Smurf Tower” to separate it from the earlier beige model. The first new Power Mac since the colorful plastic iMac G3 shipped, the pro-level machine borrows the same transparent color scheme. Unfortunately, it doesn’t hang around too long. Apple introduced the original beige Power Macintosh G3 series in November 1997, not too long after unveiling the “Think Different” ad campaign. It was the first Mac to employ the PowerPC G3 microprocessor, which also powered the later Blue and White model. The line proved a hit for Apple, with 750,000 shipping by the middle of 1998. When the iMac arrived, however, Steve Jobs and Jony Ive were keen to update the Power Mac to match Apple’s new design language (which could also be seen in the iBook laptop). Apple also wanted to its keep pro line up-to-date with the latest available hardware. At the Macworld event where Jobs revealed the new Power Mac G3, he also announced five new iMac colors. 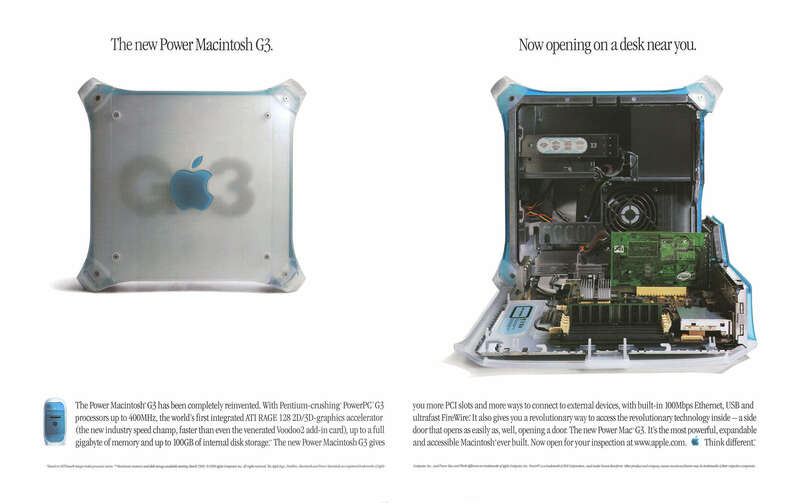 One of the Power Mac G3’s original ads. As for specs, the Power Mac G3 was considerably different than its predecessor, despite sharing the same G3 processor. It was the first Apple machine to include FireWire, which became an important part of the company’s “digital hub” strategy and actually won Apple an Emmy. Apple’s first USB computer, it boasted a “legacy” ADB port so users didn’t need to rely on dongles. Still, a lack of regular serial ports, floppy drive and on-board SCSI caused controversy at the time. Prices started at $1,599 and topped out at close to $5,000 for the kitted-out server configuration versions. The Power Mac G3 received a speed bump in April 1999, although it didn’t last much longer. Apple discontinued it in favor of the Power Mac G4 line in August 1999. Did you own one of these computers? Leave your comments below.